With a brutal hand, up-and-coming gangster Gordon Cutter and his associates are making a good living doing bad things, and heaven help anyone who gets in their way. Cutter has big ambitions to expand his firm’s operations in the north-east of England, and that’s going to mean cutting a deal to take control of the criminal network currently run by ailing local crime boss Howard Mackintosh. 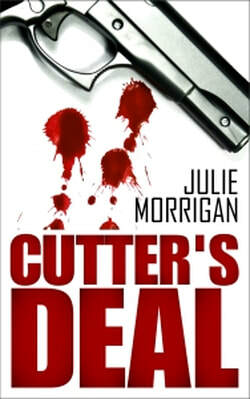 The Armstrong family’s lives collide with Cutter’s illicit dealings when he sets his sights on young Livvy. Drawn into his web and flattered by the attention of this charming and successful older man, she doesn’t see what seems clear only to her brother Jack – that Gordon Cutter is a very bad man indeed. With Cutter and his firm prepared to go to any lengths necessary to build their criminal empire, Jack is pushed to desperate measures to try to protect his family … and with a man like Gordon Cutter involved, it looks ever more likely that the Armstrongs are hurtling towards tragedy. Since taking control of Howard Mackintosh’s criminal empire, the dynamics of Cutter’s firm have changed. Big Liam Bradley, Mac’s former deputy, has firmly established himself as Cutter’s trusted second in command. But Tommy Gunn and Wayne Dobbs, his long-standing partners in crime, are feeling pushed out … and Wayne is determined to do something about it. Young Jack Armstrong is about to be released from prison after being framed by Cutter and his cronies. Three years ago his family was devastated when their lives collided with Cutter’s criminal dealings – and Jack still doesn’t know what happened to his sister Livvy. Following the tragic death of a child on the road running past a local caravan park, journalist Millie Redman is taking a potentially dangerous interest in the business enterprises of the park’s owner: shady local entrepreneur Mr Gordon Cutter. Meanwhile, Cutter has ambitious plans to expand his empire … but can he keep his firm together in the face of betrayal from those closest to him, as well as dangerous outside scrutiny that threatens to expose his deadliest secrets? Cutter’s nightclub – the jewel in the crown of his business empire – is a burnt-out hulk. Despite his best efforts, he still doesn’t know who was responsible for torching the club … but he’s determined to find out and to make them pay. Journalist Millie Redman is missing and young Jack Armstrong, whose sister Livvy lost her life after becoming involved with Cutter and his gang, sets out to discover what happened to her. When Gordon Cutter’s wife also disappears, he is certain Cutter is responsible. But can he prove it? PC Rose Madsen is taking an interest in the search for Cutter’s missing wife. 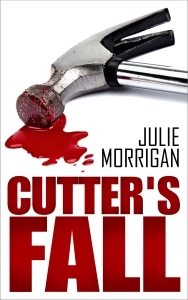 Her enquiries lead her into Cutter’s world, with potentially deadly consequences. Meanwhile, past actions and persistent paranoia mean Cutter’s firm is fragmenting. Can he hold it together, and also keep his secrets hidden? With a brutal hand, up-and-coming gangster Gordon Cutter and his associates are making a good living doing bad things. Cutter has big ambitions to expand his firm’s operations in the north-east of England, and heaven help anyone who gets in his way. The Armstrong family’s lives collide with Cutter’s illicit dealings when he sets his sights on young Livvy. Flattered by the attention of this charming and successful older man, she doesn’t see what seems clear only to her brother Jack – that Gordon Cutter is a very bad man indeed. With Cutter prepared to go to any lengths necessary to build and protect his criminal empire – and to eliminate any threat, even from inside his own firm – Jack is pushed to desperate measures to try to protect his family and bring the vicious crime boss to justice. 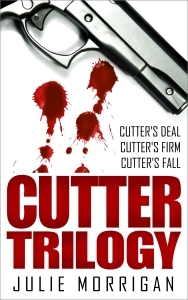 This edition brings together the three novellas that make up the Cutter trilogy – Cutter’s Deal, Cutter’s Firm and Cutter’s Fall – plus, as a bonus, ‘Behind Blue Eyes’, the short story featuring old-school gangster Howard Mackintosh and his deputy Big Liam Bradley, which got the whole thing started. The Cutter Trilogy contains extreme violence, cruelty and adult language. Dirty deeds are displayed, grubby secrets revealed and violence, brutality and human frailty are laid bare for all to see in this collection of dark, adult short stories exploring Britain’s seedy underbelly. The tales presented in Bad Times: North-East Crime have the distinctive flavour of north-east England, and the collection brings together Julie Morrigan’s entire body of crime short stories, including tales previously published in her earlier short story collections, Gone Bad, Show No Mercy and Wired. 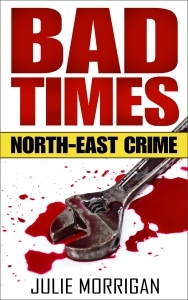 Bad Times: North-East Crime will appeal to readers who enjoyed the author’s popular Sunderland-based gangster trilogy, Cutter’s Deal, Cutter’s Firm and Cutter’s Fall. 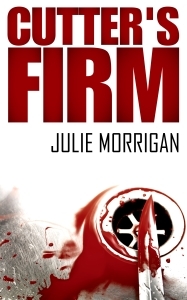 Convictions is Julie Morrigan’s bestselling debut novel. 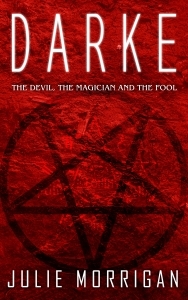 Published in 2011, it featured in the Grift Magazine readers’ survey of the best books of the year, and was voted one of the top five books of the year at the Crime Fiction Lover website. A family devastated by loss. When 12-year-old Tina Snowdon and her little sister Annie gratefully accept a lift from a helpful stranger, she has no way of knowing that only one of them will make it home. As days turn into weeks with no news of Annie, Tina must face her mother’s anger; she would do anything to turn back the clock. 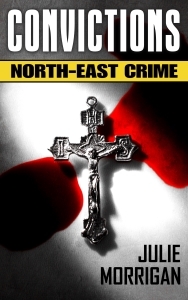 As her life is torn apart by pain and recrimination, the only evidence the police have points to George Cotter, a respected pillar of the local church. But as the investigation continues, it seems that perhaps a deeper and more disturbing truth may lie behind Annie’s abduction. And until Tina learns what that truth is, she will always be the little girl who escaped, only to be imprisoned by her own grief and guilt. If the Sixties was a naive and charming flower child, then the Seventies was her big, bad older brother; darker, more worldly, less giving … and the Eighties was his garishly-painted and promiscuous girlfriend. It’s no wonder against such a backdrop that things could become confused – and that dreams could turn to heartbreak. 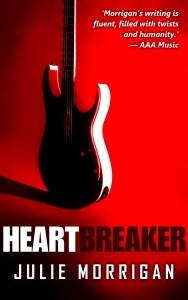 When Alex Weston is hired to ghostwrite a book about the life of Johnny Burns and his band – from playing down-and-dirty pubs and clubs in the Sixties, through the excesses of Seventies stadium rock to Eighties meltdown – even she isn’t prepared for the depths of excess, betrayal and guilt that she uncovers. What if you only had as many days left to live as there are letters in your name? What if an invisible hand shaped your destiny? What if your night terrors were real? These and other questions are posed in The Writing on the Wall, a collection of what might loosely be described as ‘weird fiction’: strange happenings, dangerous artefacts, curses, cannibals, and witches. The stories tell of a world where no one is quite who you think they are and nothing is quite what it seems. The collection comprises six short stories — including the prize-winning 'The Black Dog', a ghost story with a traditional feel that has been described as being in the style of M.R. James — plus the terrifying novelette-length title story. A bonus story, Steven Miscandlon’s 'Frigid Air', will have you checking the contents of your refrigerator every half hour. Or possibly never opening the door again. 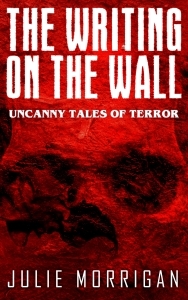 Prepare for chills and terror as you encounter the unusual, the unsettling and the downright horrific in The Writing on the Wall. Light the lamps. Lock the door. And whatever you do, don’t look behind you. 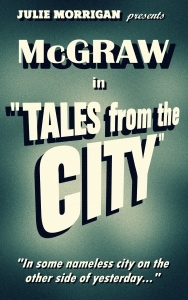 McGraw: Tales from the City is a novella-length collection which includes “Star” and “Wish Upon a Star” – the two short stories that introduced Julie Morrigan’s old-school “film noir” hardboiled detective – and two new, longer stories that follow McGraw’s dogged investigations from the depths of the gutter to the corruption of high society.